When I was a kid, I had just one shot at wearing my Halloween costume each year, while trick-or-treating through my suburban Minnesota neighborhood. Most years I had to wear a thick winter coat over my bunny rabbit, princess, or ballerina outfit. This often led to my crying, whining, and general tantrum-throwing. Not so for lucky kids visiting Southern California during October! In San Diego’s mild climate, kids collect treats in their Halloween garb coat-free and enjoy all sorts of LEGOLAND California Halloween activities all October-long. Kids don’t need to wear a costume to gather goodies at LEGOLAND California’s Brick-Or-Treat Trails. But what kid doesn’t want an extra chance to be a super hero or pirate? Trick-or-treaters aged 12 and younger gather candies, apples, crayons, and more from the park’s trails. If you didn’t have time to put together a costume or your kiddo wants to add a little flair to their ensemble, purchase elaborate face-painting in Castle Hill. Choose from designs for fairies, monsters, animals and more. 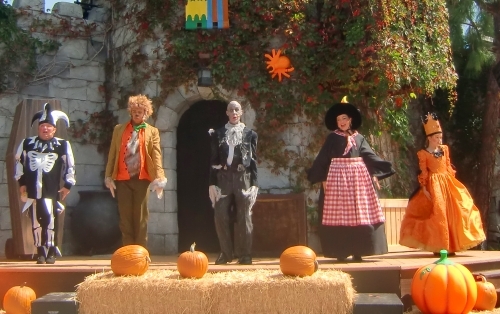 Families enjoy not-too-scary LEGOLAND California Halloween shows like Mail Order Monsters each October. My kindergartner and toddler laughed at the actors’ antics. But when the characters mingled with the crowd after the show, my young children were not at all interested in meeting the monsters (especially the zombie!). Of course, my daughter was fascinated by the princess and ran up to get a better look at her sparkling orange dress. Expect performances several times throughout weekend days and Saturday evenings at the Courtyard Theater. There are no seats besides a couple of benches at the back. But, kids and adults didn’t seem to mind standing or sitting on the ground. 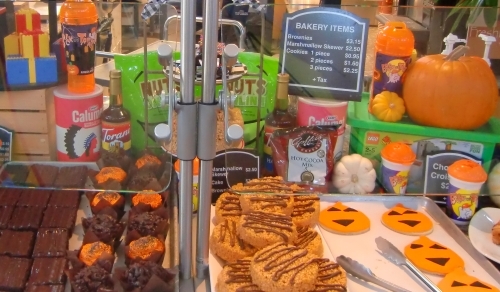 If the kids didn’t get their fill of sweet treats from the Brick-Or-Treat Trails, you can buy Halloween-themed goodies at eateries throughout the park. Choose from Jack-o-lantern cookies, caramel apples, orange-colored crispy rice treats drizzled with chocolate, Halloween cupcakes, and hot apple cider. Or, stop by Sir Scoops A Lot for a pumpkin ice cream shake. Everywhere you look at LEGOLAND California in October, you’ll find ghosts, skeletons and pumpkins formed from LEGO bricks. You’ll also see lots of live pumpkins and man-made jack-o-lanterns. Head to the Giant LEGO Pumpkin made entirely of LEGO bricks and the Giant Ghost to snap adorable photos of the kids. Halloween or not, one of my kindergartner’s favorite LEGOLAND California attractions is The Hideaways. This gigantic playground is perfect for kids aged 5 and older. In October, it is transformed into Haunted Hideaways with spooky music and “hidden” candy corn pictures. Kids count the candy corns while they climb across rope bridges and zoom down slides. To participate in the Candy Corn Scavenger Hunt, just fill out a form with how many candy corns your child spotted along with your contact information. You just might win a family four pack of tickets to LEGOLAND California! 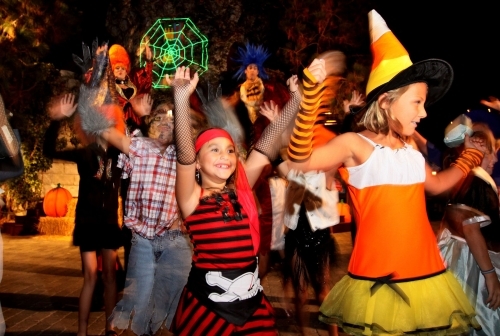 There is no additional cost to attend the Brick-Or-Treat Party Nights, which take place 5 to 9 pm every Saturday in October. In addition to the LEGOLAND California activities described above, most of the park’s regular attractions stay open. Plus, you can enjoy special shows, activities, and contests just for partygoers in Castle Hill. 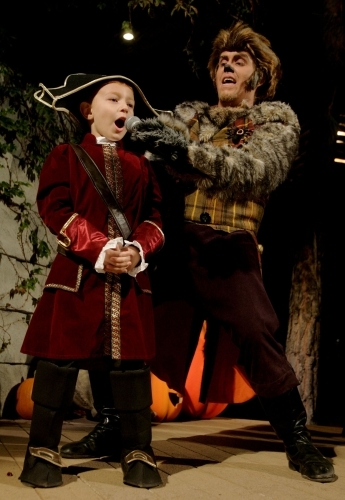 Kids can compete to howl the loudest and proudest in Howlin’ Howie’s Contest at the Courtyard Theatre twice each night. Then watch the Spirits of Brick-Or-Treat Light Show, where friendly spooks and pumpkin luminaries light up and sing on the castle rooftop. Hubble Bubble’s Dance Party starts in the early evening and culminates in the Ultimate Dance Off. That’s when six winning dancers perform a dance-off onstage. A final winner is chosen by show of applause. 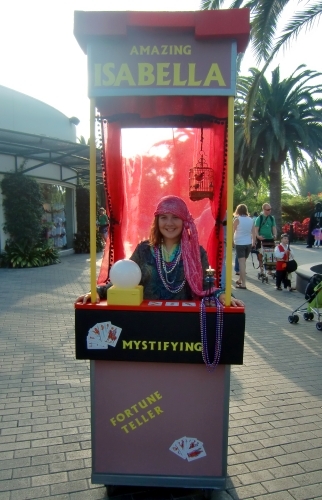 LEGOLAND California’s Costume Contest draws some truly innovative contestants. Categories include Heroes, LEGO, and Creative. Registration begins in the late afternoon each day. Kids aged 12 and younger can enter. A panel of judges choose one first-prize winner from each category. A regular admission ticket allows you to enjoy the daytime LEGOLAND California Halloween activities and includes entrance to Brick-Or-Treat Nights. If you only want to attend the nighttime activities, purchase a discounted Brick-Or-Treat ticket. 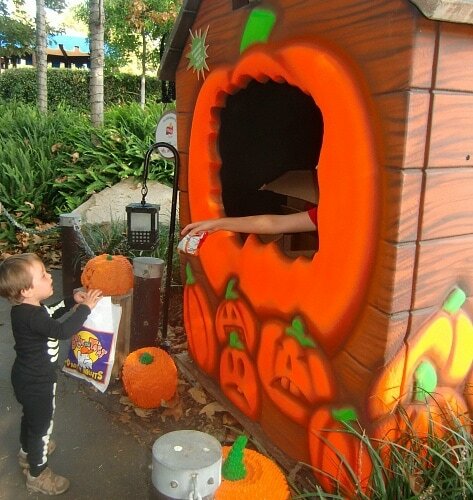 Have you ever enjoyed LEGOLAND California Halloween activities with your kids? Would you like to? Let us know in the comments below! 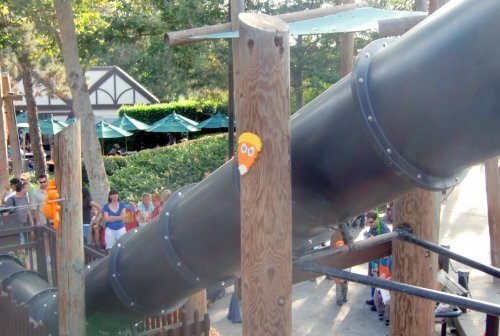 I went to Legoland with my 3 year old on Sunday and the lines for rides were very long and probably not worth the wait. I think I’ll only do weekdays from not on. The Halloween events look fun – maybe we’ll check that out too. 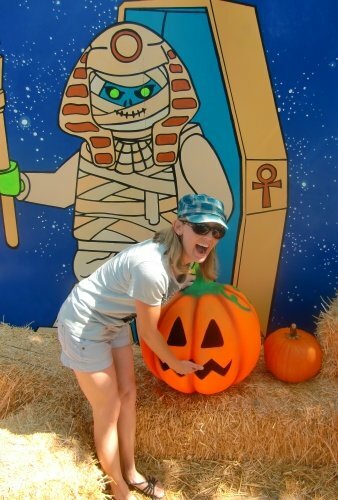 My kids and I adore LEGOLAND — would love to be in the San Diego area for Halloween. This looks like too much fun! The Hubble Bubble Dance party was my kids absolute favorite! Those nice witches really know how to bring out shy little ones. My daughter could have stayed their all day! I love that your kids were afraid of the jackolantern:) My kids just laugh now when I tell them the things they were afraid of when they were young. We had to leave The Little Mermaid when my daughter was two because she was afraid of the shark. It was her first movie. I guess I was rushing things a bit. I love Disney at any holiday! I can’t even tell you how much my kids would love this. I wish I lived anywhere in the vicinity because we would be there. This is great info! I would love to try Legoland with my kids! Wow the costumes are amazing! I would love to take my kids to Legoland, my 5 year old would freak out! Great website, opens up ideas for Grandmas too! Another chance to wear your costume – have your mom put on a spooky Halloween party in your basement – like I did four times in the midwest. In those days there weren’t organized public events. It was fun decorating with lots of black drapes to hide typical basement stuff. Wow! That looks like a great time. I have never been anywhere at Halloween that had that many exciting things going on. Our favorite place to hang out for Halloween is home. We usually all dress up and go trick or treating as a family. Then we come back home and just have fun. When my kids get older we may have to visit LegoLand. Thanks for the awesome review and idea!